a Cocker Spaniel is a spotting breed that is bred to flush game in the field. So, fetching a duck, a Cocker soaks its fur in water, mud and debris. a Cocker’s coat has weatherproofing oils that protect its fur and skin. 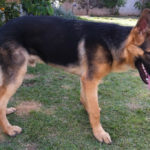 Washing your dog too often will damage this oil protective layer. a Cocker is prone to skin problems. Probably, it will need some special shampoo. If you engage your dog in flush gaming, you Cocker will need more frequent bathing (every 2 weeks, for example). 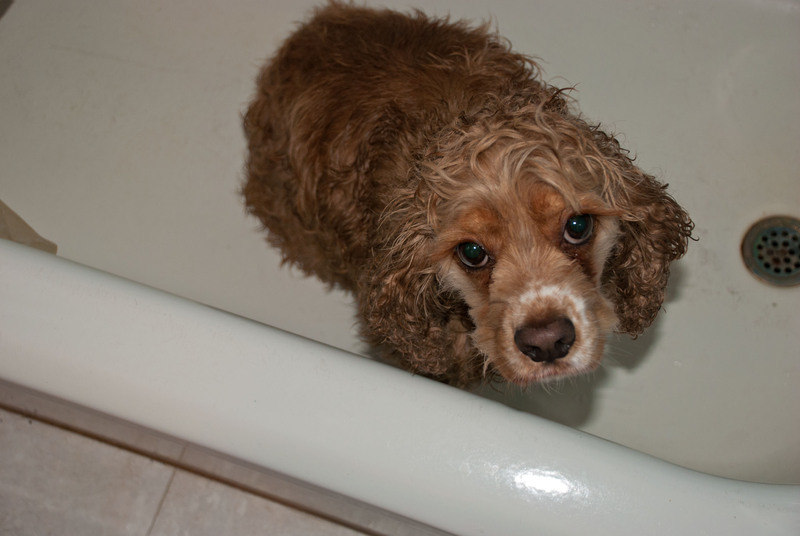 If your Cocker is just a companion and doesn’t get too dirty, bathe it every 2-4 months. Warning! 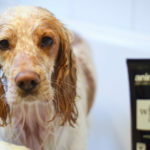 Don’t wash your Cocker too often – it will damage its skin oil layer that is designed to waterproof Spaniel’s skin and fur. Don’t bathe your Cocker unless it is necessary. 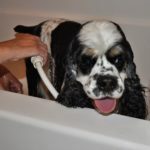 Bathing regularity definitely depends on the time of a year: your Cocker will be more dirty in the spring and in the autumn, since bathing in winter can be even dangerous. 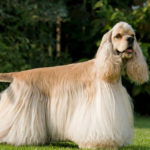 As Cocker had dense and smooth fur (that is also relatively long), brush your cocker spaniel before the bath. 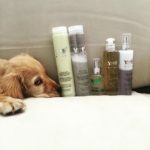 Clean your cocker’s face. 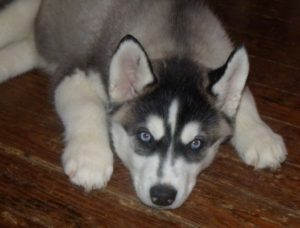 This breed tends to tear, so wipe under the eyes with a cotton ball and clean water. Place your cocker spaniel on a non-slip surface in your bathtub. Saturate your cocker’s entire coat with warm water. 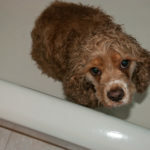 However, it is not an easy task – Cocker’s fur is waterproof, so it means, that it will take time to water the fur. 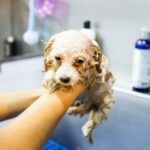 Use a tear-free shampoo to wash your dog (how to choose the best one we will tell you further). 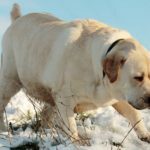 Pay special attention to body, ears, neck, tail, legs and buttocks. Rinse the shampoo till the water is clear. 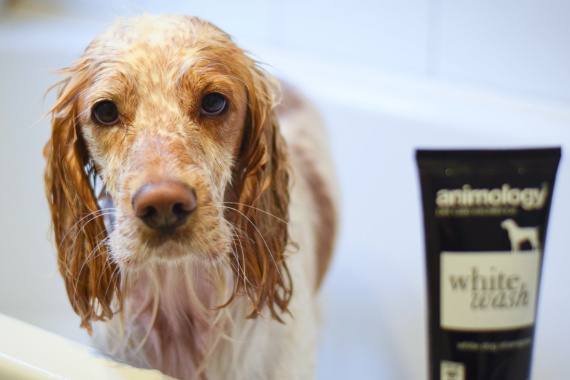 Use a mild dog conditioner. Rinse conditioner until the water runs clear. Dry your Cocker with a towel (drying with hairdryer is optional). 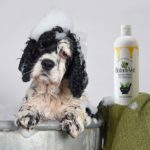 There are some rules how to choose an appropriate shampoo for your Spaniel. your Cocker is engaged in hunting, it will be definitely dirty from top to toe. Probably, you will have to wash your Cocker after every flushing game (every week or two). Recommendation: in this case you are better to choose some mild creamy shampoo without SLS and parabens. VF Clinical Care Oatmeal And Tea Tree Oil Infuser Shampoo. Be careful! Use deep cleansing shampoos only in special cases. Triple Strength Dirty Dog Concentrated Shampoo. 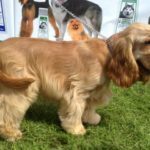 Advice: as a Cocker has long hair, it is highly advisable to use a conditioner to make fur smooth and shiny. 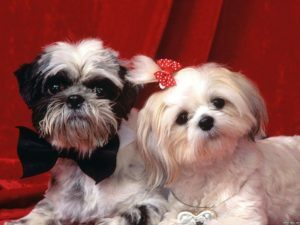 It is particularly significant for show dogs. Such conditioners contain silicones to protect the fur.